With over 3,000 different markets available to trade worldwide, most traders never even attempt to identify what kind of trading account would be the best for them. 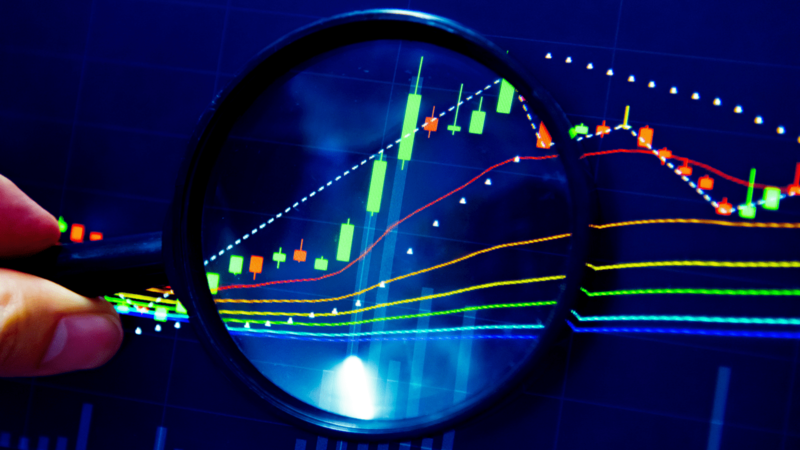 Should you use a spread betting account, a CFD trading account or a futures or options account? There are some major differences - and disadvantages - in each of these, which could have a big impact on your overall trading results. In this article, you will discover everything you need to know about one particular trading vehicle called 'spread betting'. You will learn what it is, how it works, things to consider when choosing the best spread betting platform, whether you can do spread betting for a living, and one proven way to improve your trading skills, completely risk-free, starting today! Spread betting is a form of speculation that simply involves placing a bet on the price direction of a financial instrument. Your profit, or loss, is determined by whether or not the market moves in your chosen direction. Unlike other forms of trading, a spread betting trader never owns the underlying product - they merely speculate on whether the price will go up or down in value. As spread betting is a leveraged product, spread betters can trade on margin. This means you only need a small deposit of the overall value of the trade to open a position. Let's take a look at the mechanics of a spreading betting trade and how it works. Every spread betting trading ticket gives you the option to either go long (buy) or go short (sell), on a financial instrument. If you believe the market is going to rise in value, you would open a long position. If you believe the market is going to fall in value, you would open a short position. The spread betting trading ticket will give you the price at which you can buy at, and the price at which you can sell. The difference in these values is known as the 'spread'. Essentially, this works out to be the cost, or commission, on your trade. Each spread betting trading ticket requires a bet size, or 'stake' size. The bet size is important as the value is multiplied by every point that price moves in your favour - or not - to determine your profit or loss. To see the best way how spread betting works, let's look at a full spread betting trading example. In this example, we will assume the underlying market price of the FTSE 100 stock market index is 6500. With a broker applied spread of two points, you can sell at 6499 and buy at 6501. You believe the stock index is undervalued and is set to rise. You enter a buy trade, or long position, for £5 per point at 6501. The FTSE 100 index does indeed rise to 6595, where you decide to close your position. Your broker is now quoting a buy price of 6596 and a sell price of 6594 (a two-point spread). To exit a spread betting trade you must do the equal and opposite trade. This means you sell your £5 per point position at a price of 6594. The difference between your exit price and entry price is 93 points (6594 - 6501). To calculate your profit in your spread betting account, you simply multiply your bet size by the number of points you have gained. In this example, £5 per point multiplied by 93 points profit, equals a total monetary profit of £465. If the FTSE 100 index does not rise and instead falls to 6400, whereupon you decide to cut your loss and exit the trade. Your broker is now quoting a buy price of 6401 and a sell price of 6399 (a two-point spread). To exit a spread betting trade you must do the equal and opposite trade. This means you sell your £5 per point position at a price of 6399. The difference between your exit price and entry price is -102 points (6399 - 6501). To calculate your loss in your spread betting account, you simply multiply your bet size by the number of points you have lost. In this example, £5 per point multiplied by a 102 point loss, equals a total loss of £510. In both scenarios, there will be additional funding charges if the position was kept open overnight and the spreads will vary depending on which financial instrument you are trading. As there are other markets available to trade in a spread betting account, let us look at an example of spread betting on forex. In this example of spread betting forex, we will assume the underlying market price of GBP/USD is 1.5000. Every market listed in a spread betting account is listed in points. This means your broker's price of GBP/USD is 1.5000. With a broker applied two-point spread, you can sell at 1.4999 and buy at 1.5001. You believe the currency is set to fall, and enter a sell order, or short trade, for £3 per point at 1.4999. GBP/USD does indeed fall to 1,4950, where you decide to close your position. Your broker is now quoting a buy price of 1.4951 and a sell price of 1.4949 (a two-point spread). To exit a spread betting trade, you must do the equal and opposite exchange. As you initially sold GBP/USD at £3 per point, this means you buy GBP/USD at £3 per point at 1.4951. The difference between your exit price and entry price is 48 points (1.4951 - 1.4999). To calculate your profit in your spread betting account, you simply multiply your bet size by the number of points you have gained. In this example, £3 per point multiplied by a 48 point profit, equals a total profit of £144. GBP/USD rises to 1.5050, where you decide to close your position. Your broker is now quoting a buy price of 1.5051 and a sell price of 1.5049 (a two-point spread). To exit a spread betting trade you must again do the equal and opposite exchange. As you initially sold GBP/USD at £3 per point, this means you buy GBP/USD at £3 per point at 1.5051. The difference between your exit price and entry price is -52 points (1.5051 - 1.4999). To calculate your loss in your spread betting account, you simply multiply your bet size by the number of points you have lost. In this example, £3 per point multiplied by a 52 point loss, equals a total loss of £156. In either scenario, there would be additional funding charges if the position was kept open overnight, and the spreads will vary depending on which financial instrument you are trading. Now you have seen a step-by-step example of what is spread betting forex and indices, let's look at your ultimate guide to spread betting the global financial markets, as well as answer the hypothetical: can you do spread betting for a living and is spread betting profitable? Spread betting is just one type of trading vehicle among many (such as CFD trading, options trading, and so on). There are some key features to know about spread betting that can help you make your decision on whether or not a spread betting account is for you. When trying to find the best spread betting platform it is important to remember that most spread betting UK companies have their own unique platforms that vary from one another. This can make it a bit tricky for new traders trying to 'learn their craft'. After all, you want to spend your time learning about the markets rather than trying to figure out how to use an individual platform. Is the provider of the spread betting platform regulated? An approved FCA spread betting provider is one of the highest regulations available from the UK's financial regulator - the Financial Conduct Authority. Do they allow you to start with a spread betting demo account? Some providers do, but not all. However, check when they expire as many only offer them for just a few days. They may also have limitations on which markets are available in the spread betting demo account. Having the right trading tools available to you is essential - especially for those who try to do spread betting for a living. For these traders, some of the most commonly asked questions are: is spread betting taxable and is spread betting profitable? Let's take a look. *Admiral Markets offers forex and CFD trading on its platforms, spread betting is not available at this time. For spread betting UK residents, one of the main advantages is that profits may be tax-free. However, tax treatment depends on individual circumstances and tax laws are subject to change. Having said that, UK spread betting accounts are exempt from stamp duty and capital gains tax (CGT) within the UK. As spread betting profits are exempt from CGT, it does mean that you cannot offset any losses for tax purposes (unlike CFD trading accounts). *Tax laws are subject to change and depend on individual circumstances. Tax law may differ in a jurisdiction other than the UK. Have a trading plan - With over 3,000 markets to trade, opportunities can be plentiful, but only for those who have a focus. Will you be focusing on forex, stocks, indices, commodities, or a combination of them all? Master a few, rather than scratch the surface of many. Test your trading strategy - There are many different trading styles, indicators and strategies to choose from. Having the ability to test them in a risk-free environment is essential to building confidence and longevity in your trading career. Whether it is a spread betting demo account or a CFD demo trading account it is important to get started on one. For those who would prefer to trade directly from their charting platform, consider a forex and CFD demo trading account, where you can test your strategy and practice your skills at the same time. Spread betting is a form of speculation. If a trader believes the market is going higher they would enter a buy, or long, position. If a trader believes the market is going lower they would enter a sell, or short, position. In a spread betting trading account your profit, or loss, is determined by how many points the market moves in your favour or against you. This amount can then be multiplied by the trader's bet size (for example £5 per point), to calculate a monetary profit or loss. Spread betting UK accounts are exempt from stamp duty and capital gains tax. However, tax treatment depends on individual circumstances and tax laws are subject to change. You cannot offset any losses for tax purposes in a spread betting UK account, unlike a CFD trading account. Profitability is more dependent on the individual, rather than the trading vehicle. Therefore, starting with a demo trading account could prove to be a rewarding first step to test your trading strategy and ideas, in a risk-free environment.